Tool organization is not one of my strong suits, so when Veto Pro Pac said they wanted to send me one of their tools bags to review, I happily accepted. What they sent out was their LC bag, the smallest of their closed top bags. You might be unfamiliar with Veto Pro Pac because they are not something you will find in your local bigbox store, but they have become popular amongst contractors because of their design functionality, and high quality build. I think the problem with most tool bags is they try to do too much. 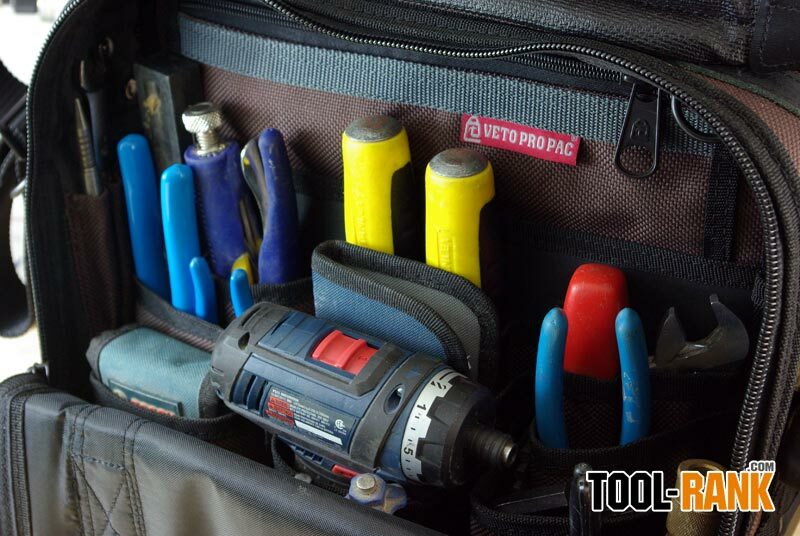 The Veto Pro Pac doesn't; it has one job to do, house and organize your hand tools. Not power tools (unless really small), just hand tools. Because the bags are specific to hand tools, they do a really god job at storage and organization. Most bags try to tackle both hand and power tools, and fail at both. They will have a large area for power tools that offers little protection, then as a selling point they stitch in pockets around the perimiter that don't work very well. Another common option is the bucket bags; I consider these a step up from the duffel type bags, but they too have their problems. They can be awkward to carry because of the tools around the outside, and I never liked having my tools on display for all to see. 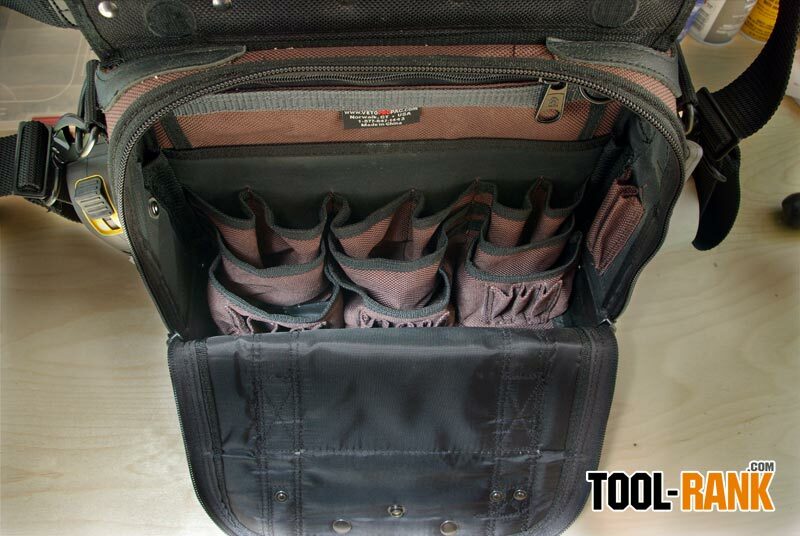 I currently have four old tools bags that I don't use because of poor design. What makes Veto Pro Pac unique is their design. The bags are double sided, with pockets that can be described as stadium seating for your hand tools. Meaning, the pockets in the back are highest, with each row in front being lower and lower. This feature makes accessing each row of tools just a bit easier to get to. To make sure the bags stay upright, Veto Pro Pac has used a stiffener that is sandwiched between both sides of the bag. The LC bag has a total of 57 pockets with most being on the inside, with a few on the outside. One side of the bag is an exact mirror image of the other side. The number of pockets is pretty high for such a small bag, and of course they are counting the small drill bit pockets, but you can fit well over 57 tools in the LC bag. This is because some of the pockets are big enough to fit two or more tools. Of course the total amount of tools you can carry depends on what type to tools you use, or the amount of weight you can carry. Heavy duty is something you can feel with the Veto Pro Pac bags; they are heavy even when empty. They use 1800 denier fabric that has been infused with PVC to become waterproof, they use heavy duty zippers, feature the inside stiffener, and use a solid 3mm polypropylene bottom. All of these features add to the weight of the bag, but as we learned years ago, something that is heavy for its size usually means it is quality made. Veto Pro Pac thought of everything. Not only does the solid bottom allow the bag to be placed in standing water, mud, snow, etc, the bags used hook & loop to keep the shoulder strap off of the ground and out of the water. The bags also use snap buttons to keep the zippered doors from getting wet. An outside tape measure holder and masking tape holder are also signs of a well thought out bag. If Veto Pro Pac bags had a downside, it would be price. They are expensive compared to others, but you can see that the build quality is much better. $130 is the price of the LC, but this is a bag that I can actually use to organize and protect my tools. I already mentioned that I have four bags that I don't use, and at $20 a piece, I am out $80. Not to mention the bags that I have warn through over the years. 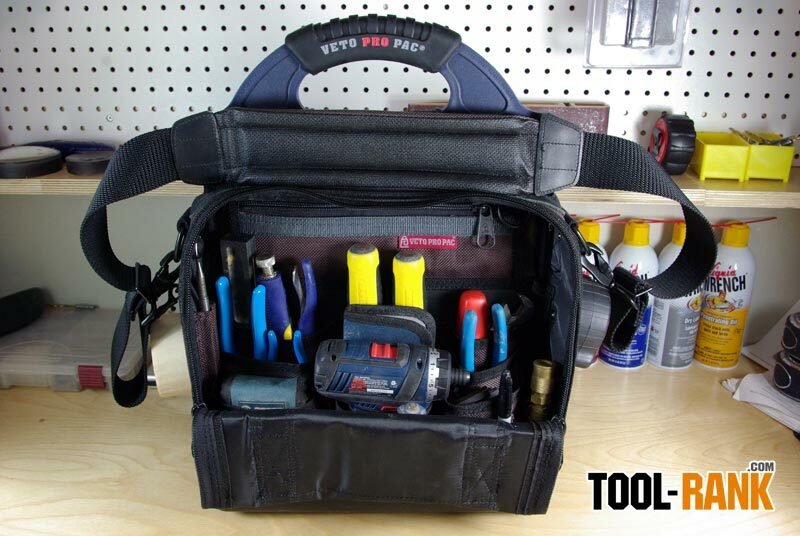 Veto Pro Pac finally offers people tool bags that will last, includes a 5 year warranty, and best of all, protects my tools. Be sure tho check out the video below, where I can really show you the features of the Veto Pro Pac LC. 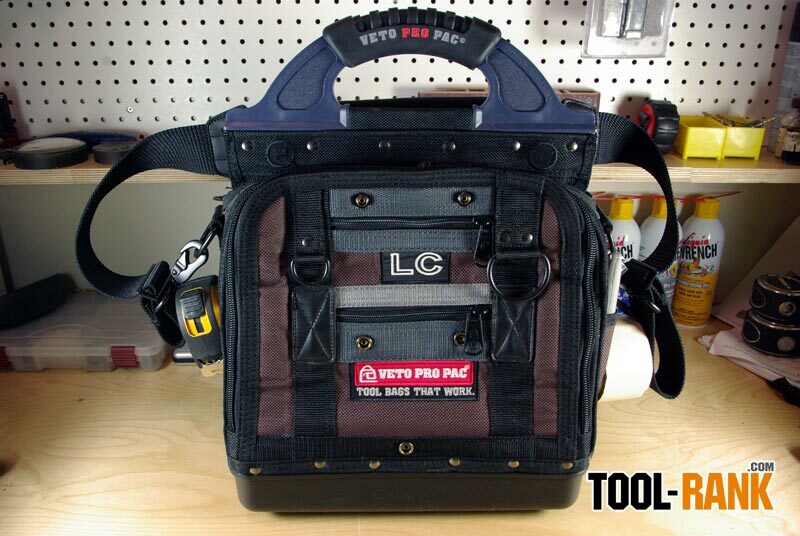 Also check back next month (in a few days) where I will announce a giveaway to win a new Veto Pro Pac LC. 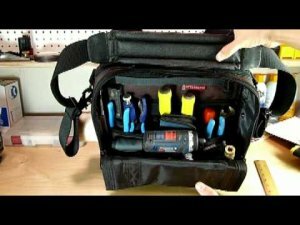 Own a Veto Pro Pac? Share your own review.